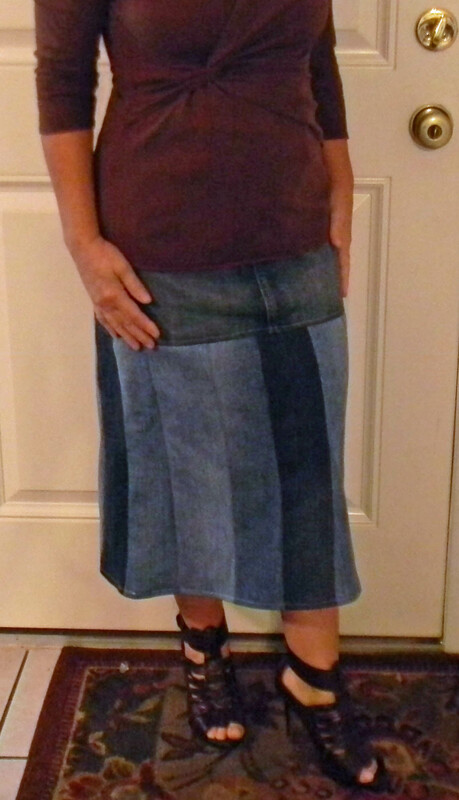 If you have jeans with holes in the knees or frayed hems this skirt is made for those jeans. I purchased several pairs of jeans at a clothing sale for $2 a piece and still have lots of jeans left. 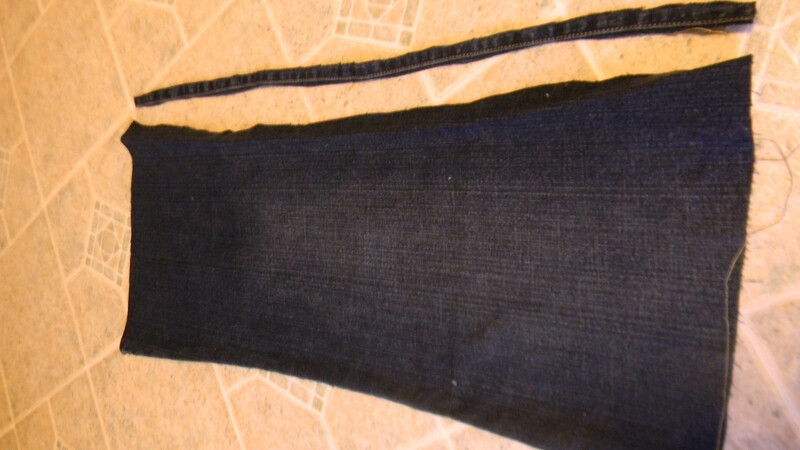 I purchased the flared jeans so the bottom of the skirt has a bit of a curve. The top of the skirt is one of those short short skirts (they seem to be everywhere in thrift stores) and I then cut the hem off. 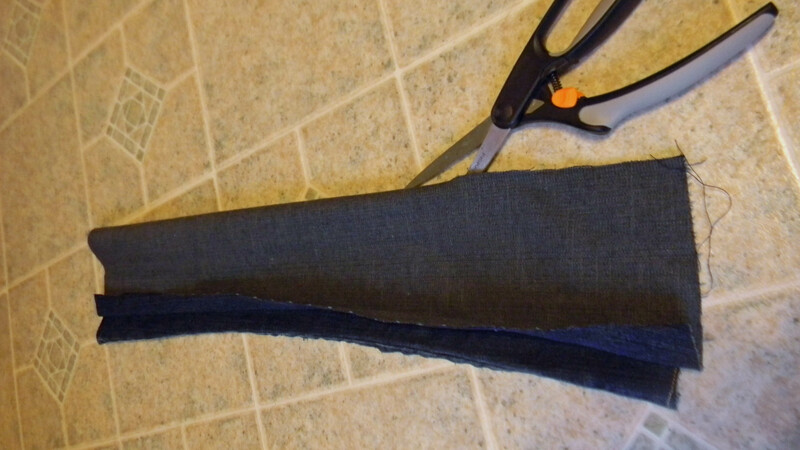 You could also recycle a pair of jeans for the top. You will need to surge or zigzag all the unfinished seams so nothing comes apart in the wash. I tried on the skirt top and decided how long I wanted my skirt. I cut the hem off the pants and then the leg. I then trimmed off the side seam. Now I folded this piece in half and cut into two pieces. After I had all my pieces I laid them out and sewed them together. NOTE: These were all different sized jeans so the strips are different size widths. 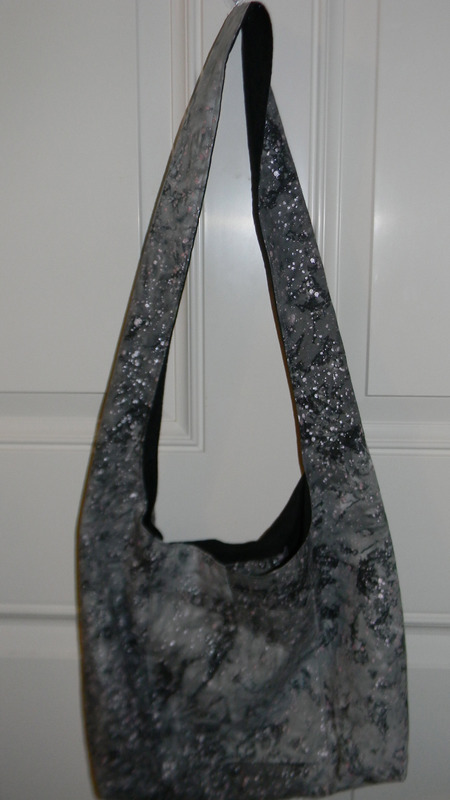 I then made sure this piece was the right size by matching it to the bottom of the skirt top. I then sewed it on and hemmed. This project took me maybe 2 hours and the cost was less than $7. 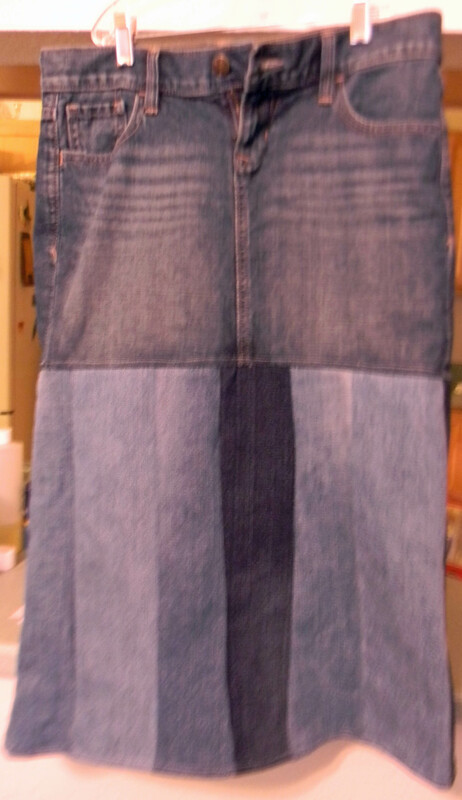 This entry was posted in Posts, Sewing and tagged Recycled jean skirt, sewing, skirt with worn jeans. Bookmark the permalink.